In 2016, the release of Mats Eilertsen’s album Rubicon gave notice of the breadth of the Norwegian bassist’s compositional range as well as his capacity to direct an ensemble of strong individual voices. 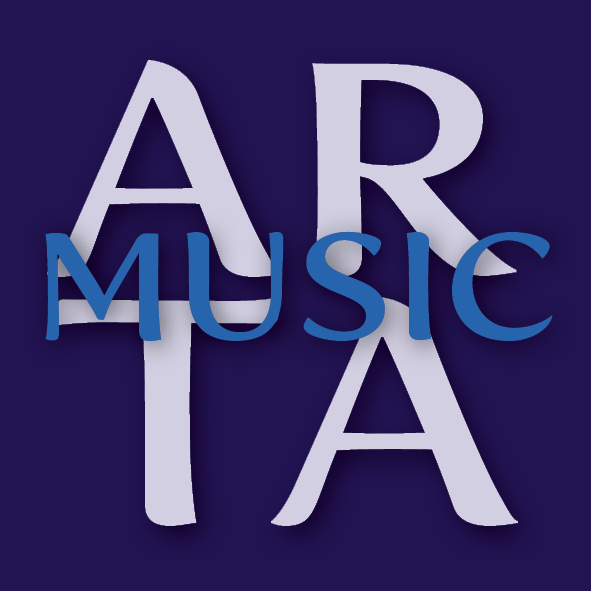 Long an important contributor to ECM recordings, and appearing on albums by Tord Gustavsen, Trygve Seim, Mathias Eick, Nils Økland, Wolfert Brederode, Jakob Young and more, Eilertsen has concurrently maintained projects of his own, including the present trio, now in its tenth year of existence. Some pieces on the album are more “written” than others. “Sirens” for instance, “moves once through the written material, with Harmen, of course, having the freedom to respond to it as he chooses. He’s such a brilliant player and will discover another dimension in the material that I present to him. The same goes for Thomas’s drumming, where no parts are written.” Sensitised overlapping of deep pulses from double bass and the unpitched throb of the gran casa drum intensifies the sense of mystery at the bottom end of the music. Pianist Harmen Fraanje played on Mat’s Rubicon, but the association with Eilertsen goes back to 2001, when Mats was living in the Netherlands. “I actually met Harmen in my very last week in Holland, and we played a gig together. That was the start of things.” Harmen and Mats worked for a while with Belgian drummer Teun Verbruggen, before Thomas Strønen was drafted into the line-up. Eilertsen and Strønen already had shared history: both had studied in Trondheim, and they had played in numerous groups together. One early collaboration was on the debut album of the band Food, recorded in 1998: Mats played in the original incarnation of this group, alongside Strønen, Iain Ballamy and Arve Henriksen. A first shared recording on ECM was with the Strønen-led improvisational band Parish in 2004, where drummer and bassist collaborated with pianist Bobo Stenson and saxophonist and clarinettist Fredrik Ljungkvist. Recent recordings with Mats Eilertsen include Trygve Seim’s Helsinki Songs and Mathias Eick’s Midwest. In addition to co-leadership of Food, whose ECM albums are This Is Not A Miracle, Mercurial Balm, and Quiet Inlet, Thomas Strønen leads the ensemble Time Is A Blind Guide whose eponymously titled first album was followed in 2018 by Lucus. Harmen Fraanje has been hailed by All About Jazz as “one of the most impressive young European pianists” of the last decade. Active across a wide area of jazz and improvisation, he leads and co-leads several projects of his own, and has played with musicians including Ambrose Akinmusire, Mark Turner, ?Kenny Wheeler, Thomas Morgan, Tony Malaby, Han Bennink, Ernst Reijseger, Theo Bleckmann, Ben Monder, Enrico Rava, Louis Moholo, Ferenc Kovács, Rudi Mahall and Trygve Seim. 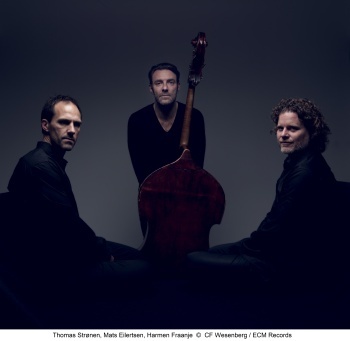 And Then Comes The Night is issued as the Mats Eilertsen Trio embarks on a European tour with concerts in France, England, the Netherlands, Germany, Denmark and Norway. Dates include Sunside Jazzclub, Paris (January 29), Lakeside Arts Centre, Nottingham (January 30), Unterfahrt, Munich (January 31), Nasjonal Jazzscene Victoria, Oslo (February 1), Brorson Kirke, Copenhagen (February 3), Schloß Elmau, Elmau (February 5), Paradox, Tilburg (February 6), Bimhuis, Amsterdam (February 7), Vredenburg, Utrecht (February 8), Arena, Moss (Febnrauyr 10), and UriJazz, Tonsberg (March 20). Further plans for the next year include concerts in which the Mats Eilertsen Trio joins forces with vocal group Trio Mediaeval.